One of the most powerful elements in theater is bringing true stories to life. Illuminating historical figures on the stage can have a big impact on children. 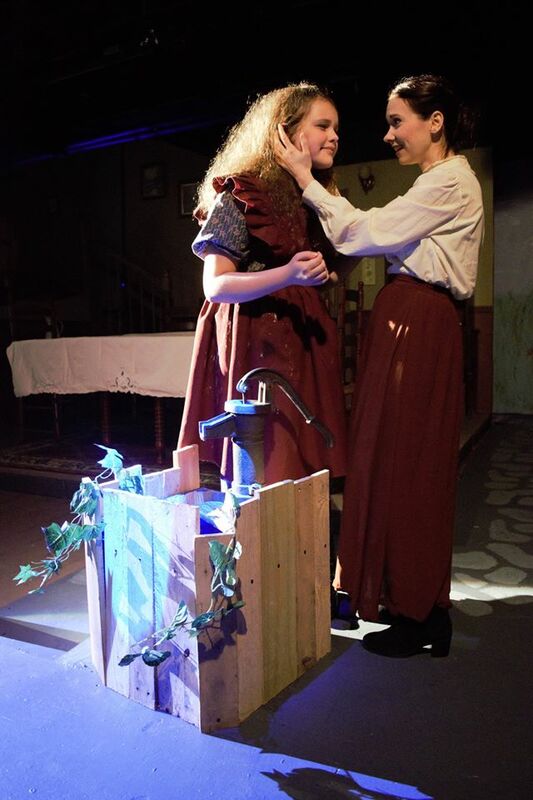 The Miracle Worker is the famed story of Helen Keller and her extraordinary teacher, Annie Sullivan. It’s a must-see, especially for families. At a time when overcoming adversity and the fight for human rights is all over the news, this is an inspirational story that has an undeniable timeliness to it. The story, studied by schoolkids for generations, is about Helen Keller, a southern girl, born and raised in Alabama in the late 1800s. She was rendered blind and deaf at just 19 months of age after a serious illness. After years of heartache, her parents found the gifted and dedicated teacher, Annie Sullivan. Annie had her hands full when she came to work with the now difficult, tantrum-prone Helen. But, through the magic of love and hard work, Helen is eventually able to communicate. And then, she soars! Though the play primarily depicts her early struggles and first breakthrough, Helen Keller went on to graduate from Radcliffe College and traveled the world fighting for the rights of the disabled and women. Her legacy is still felt in many ways today, not the least of which was her role co-founding the American Civil Liberties Union (ACLU). Kaeden Cammareri, 12, who plays Helen Keller, says she had studied Helen in school, and found it fascinating to portray a blind and deaf person. Learning not to react to loud noises (Kaeden gets startled easily in real life) and not to focus her eyes was challenging. She and Autumn Pandolfo, who plays Annie Sullivan, even created their own secret sign language during rehearsals, which was fun. Kaeden, who’s done four other plays at CWP, says this cast was very close, and felt like a real family. “The Miracle Worker is great for kids my age to come see, because it teaches them to keep on trying, even through hard times,” notes Kaeden. Don’t miss out on this important opportunity to see a poignant piece of history on stage and the chance to share the powerful message of determination with your whole family! Performances are January 12th through February 3rd, Fridays and Saturdays at 8 pm and Sundays at 3 pm. Tickets are $23 for adults, or $20 for students, seniors, and military. A Play With No Rehearsals?